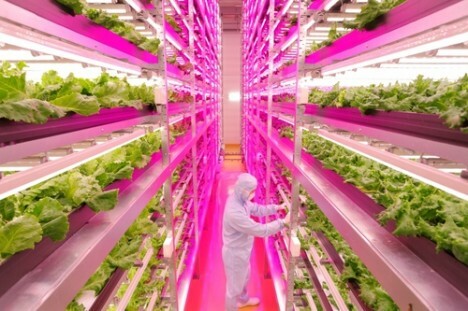 The statistics for this incredibly successful indoor farming endeavor in Japan are staggering: 25,000 square feet producing 10,000 heads of lettuce per day (100 times more per square foot than traditional methods) with 40% less power, 80% less food waste and 99% less water usage than outdoor fields. 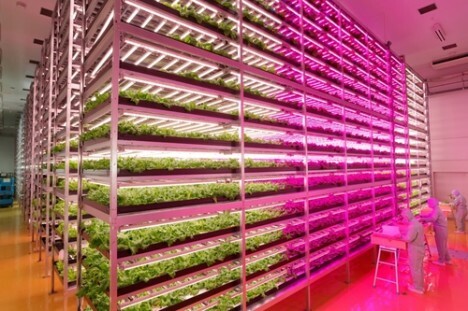 But the freshest news from the farm: a new facility using the same technologies has been announced and is now under construction in Hong Kong, with Mongolia, Russia and mainland China on the agenda for subsequent near-future builds. 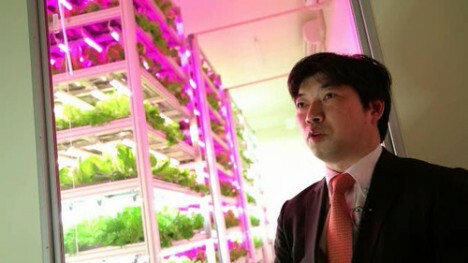 In the currently-completed setup, customized LED lighting developed with GE helps plants grow up to two and half times faster, one of the many innovations co-developed in this enterprise by Shigeharu Shimamura, the man who helped turn a former semiconductor factory into the planet’s biggest interior factory farm. The specific idea to deploy it at this time and in this place grew out of a disaster: the 2011 earthquake and tsunami that shook the island nation, causing area food shortages in general and this building to be abandoned in particular. Turning it into an indoor farm both gave the structure a new purpose and has helped replace needed fresh, healthy and locally-grown greens. 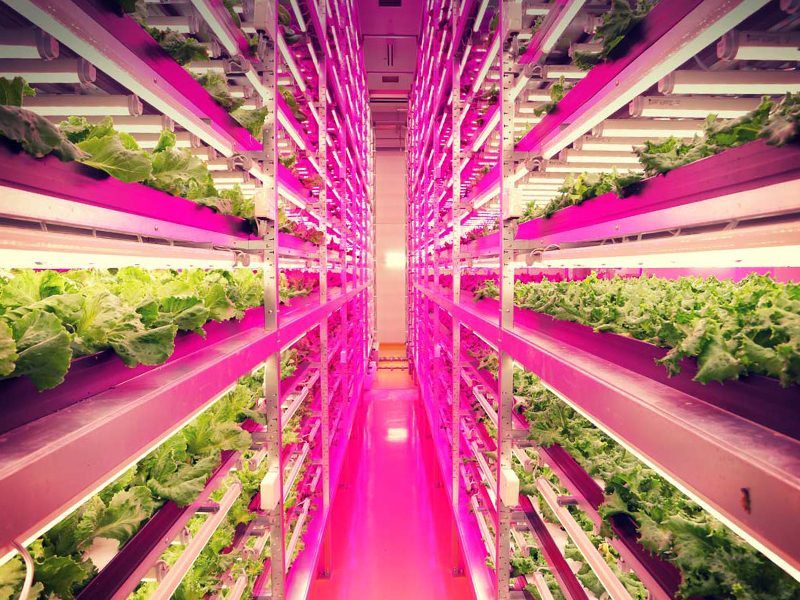 Shimamura has shortened the cycle of days and nights in this artificial environment, growing food faster, while optimizing temperature, lighting and humidity and maximizing vertical square footage in this vast interior space (about half the size of a football field). 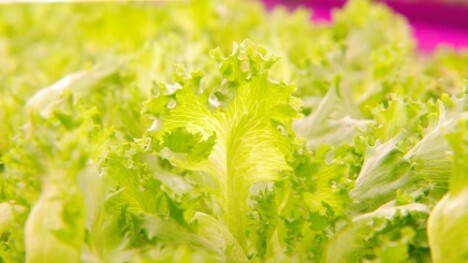 No water is lost to soil and a core-less lettuce variant reduces waste. 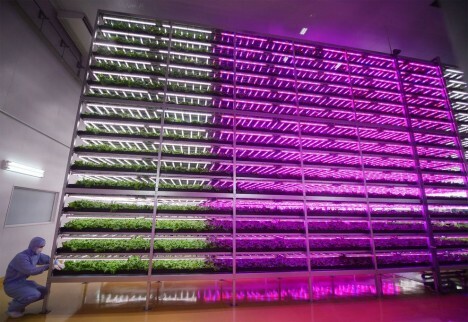 The beauty of this development lies partly in its versatility – since it deals in climate-controlled spaces and replicable conditions, a solution of this sort can be deployed anywhere in the world to address food shortages of the present and future. 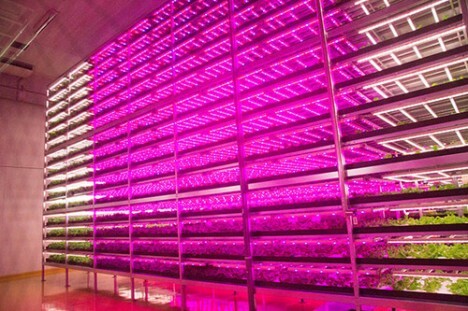 Saving space, indoor vertical farms are also good candidates for local food production in crowded and high-cost urban areas around the globe. Aforementioned strides in waste and power reduction also make these techniques and approaches far more sustainable and cost-efficient. Ultimately, the hope (and goal) is to refine the system and apply it in other areas where resources and/or space are scarce or where weather is problematic, from developing countries to developed cities. Indeed, the same team is already building anew in densely-packed Hong Kong, where real estate is extremely expensive and local food harder to come by as well.